Our highly trained team will be able to quickly survey your site to identify any danger areas and recommend a plan of action to remove the dangers. We will assess whether a periodic inspection is needed to further analysis the wiring and fixed appliances in the building.  We can carry out an inspection to asses the overall safety of the appliance, both portable and fixed in your building. We will survey the building to see if there are any major faults with the emergency lighting or if lights are not working.